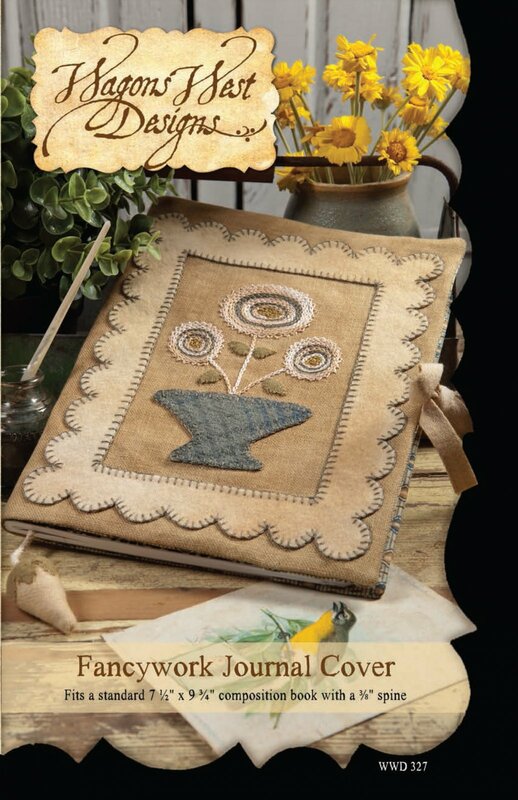 Participants will be making "Fancywork Journal Cover", a wool appliqued and embroidered cover for a standard 7 1/2" x 9 3/4" composition book. Martha will cover wool applique preparation, her innovative technique for marking on wool and marking embroidery designs, wool applique techniques, as well as the embroidery stitches needed to complete the cover. Types of wool and the properties of wool will also be discussed. Provided for all students: pattern, hand-dyed twill ribbon, hand-dyed cotton cording, and marking materials. Kits available for $35.00, which include the wool felt (antique whit, blue plaid and celery green), hand-dyed Weeks Dye Works linen, and all of the embroidery floss needed for the project. Pattern provided, hand dyed twill and cording, marking materials. A Class Supply List will be emailed to the student upon class registration and payment. A kit is available, but not required. Pattern provided, as well as some supplies.